BICS, known as the globalized company for providing international connectivity as well as interoperability services has now made investments in the next generation vocal platform to allow MNOs internationally for accelerating their launched services, like VoLTE and HD Voice to end-users. Business tycoons of the telecom company have named it as IPX platform, which will allow high quality of voice calls and in turn will enhance usages and at the same time drive huge amount of revenues for operators. This platform is always considered as the future-proof solution capable of providing support to VoLTE ready and HD Voice adhering to i3 Forum’s and GSMA recommendations. According to Global mobile suppliers association, more than 100 different operators have now deployed for HD voice solutions and expected to increase in the number during coming months, as many international operators accelerate their translation towards VoIP. By following establishment of one of the highly extensive LTE data roaming community at the international level with the help of IP-based advanced or next generation services of IPX platform, the entire infrastructure has now come in place for rollout of international level VoLTE community. Jorn Vercamert, Vice President of the Voice Business Department in BICS commented, “The transition to next generation voice services will reinvigorate the voice market and increase its profitability. HD Voice delivers a considerably improved call experience for the subscriber transmitting the human voice more clearly and resulting in more effective and natural conversations.” Read in detail from here. 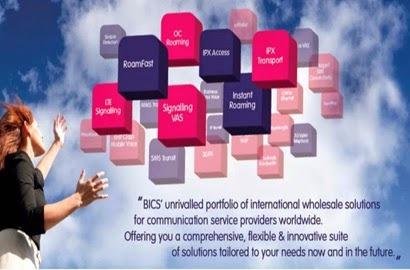 BICS delivers the best and in-class wholesale global solutions to every type of communication service provider operating across different parts of the world. With the help of its Mosaic portfolio, flexible, comprehensive and innovative solutions suite designed to be used collectively or individually, the company succeeds in meeting both future and already existing requirements of the globalized telecommunication industry.